A cryptocurrency is a digital or virtual currency that is designed to work as a medium of exchange. It makes use of computer cryptography to secure and confirm transactions as well as to have control over the distribution of new units of that particular cryptocurrency. Essentially, these digital currencies are limited entries within a database that no one can change unless they fulfil a set of very specific conditions. Cryptocurrencies have become very popular investments recently, as they start to gain mainstream acceptance by major banks and financial institutions. Several online brokers let you get in on the action by offering you the opportunity to trade crypto CFDs on margin, without actually having to purchase the currencies themselves. There have been a number of attempts at creating a universal digital currency. At the height of the 90s tech boom, there were systems like Flooz, DigiCash and Beenz that came into the market and initially caused plenty of excitement but they inevitably failed to have a major impact. There were a number of different reasons for these early failures, including instances of fraud, the creators running into financial problems and even disagreements between company employees and founders. What is particularly notable is that all of those systems made use of a Trusted Third Party approach to completing transactions. This meant that the companies behind them were fully responsible for verification of all their transactions. Due to the failures of these early cryptocurrency companies, the creation of a system of digital currency was long seen as a lost cause and put on the back burner by most of the technology and finance industries. Bitcoin is completely decentralized, meaning there is no single-owned group of servers involved in completing transactions and no central controlling authority. The concept of Bitcoin closely resembles peer-to-peer networks used for file sharing. Since Bitcoin was launched and Satoshi made the blockchain framework open, dozens of new Cryptocurrencies have come onto the scene. Many investors have found that buying CFDs based on these Cryptocurrencies is great way to diversify their portfolios and provide a hedge against inflation in traditional financial markets. 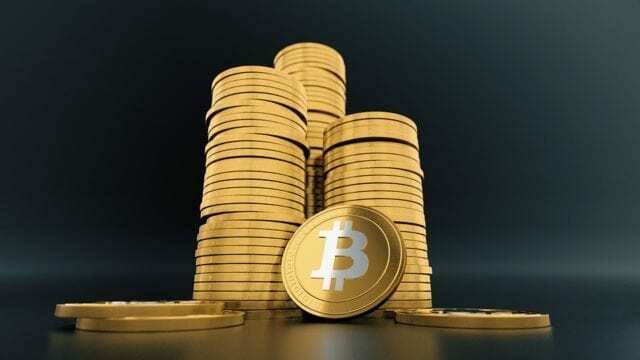 Without a doubt, Bitcoin is the world’s most popular cryptocurrency, and its creator, Satoshi Nakamoto is generally credited with moving digital currencies and their associated ledger technologies into the mainstream. Due to its runaway popularity, Bitcoin’s unit value and market cap is far larger (often by 10 times or more) than the next most popular digital currency. This currency, which has a pre-programmed limit of a total of 21 million coins is increasingly being adopted by major financial institutions across the world, who view it as a legitimate means of exchange. In addition, many large companies now accept payments through Bitcoin. Released in 2011, this cryptocurrency is built on a similar structure to Bitcoin. However, there are a few key differences that make Litecoin unique including a higher supply limit of 84 million Litecoins as well as a shorter creation time for target blockchain of just under three minutes. The Litecoin encryption algorithm is also a bit different. By market cap and trading volume, Litecoin is usually the second or third-most traded cryptocurrency and is a popular choice among crypto traders. Since its release in 2012, Ripple has become well-known for its system that makes use of what is known as a “consensus ledger.” What it does is to allow blockchain creation and confirmation times to be sped up dramatically. This digital currency is also easier to convert to fiat currency when compared to its peers, since Ripple’s in-house exchange instantly converts Ripple into USD, Euros, Yen and several other major world currencies. However, Ripple’s value is still highly volatile, making it an excellent investment for medium- and short-term margin traders such as crypto CFD investors. Ethereum was launched in 2015 and introduced a number of major improvements to the basic blockchain architecture pioneered by Bitcoin. Of particular note is its use of “smart contracts” which are used to enforce transactions between different parties and also offer a mechanism for reversals if either party violates their end of an agreement. Smart contracts are seen as a major move towards addressing the problem of refunds and chargebacks that has been a major weakness of Cryptocurrencies. Interested in learning more about cryptocurrencies? Come read this guide on cryptocurrency trading, and join the vibrant crypto market.